This is definitely one of our favorites! It's quick and easy...super fresh tasting and delicious! I like to serve these grilled chicken pitas in wax paper bags...it helps catch any ingredients that want to escape and makes them feel authentic and fun! 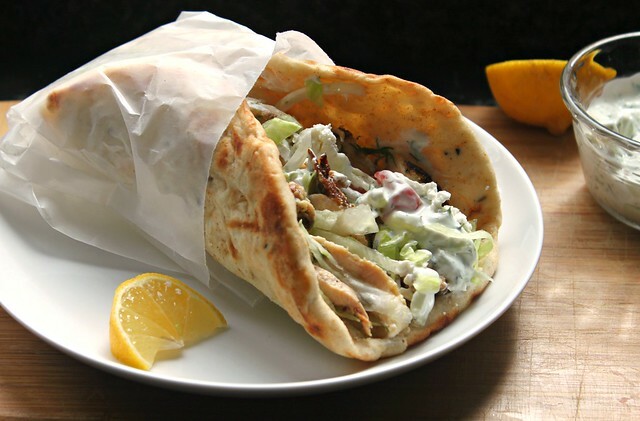 Use your favorite fresh pocketless pita ~ as a good warmed pita makes all the difference. Unique Deviled Eggs ~ 3 delicious recipes!